Designed to provide AHA moments for students AND teachers. If you’re expecting each of the Creating AHAs Products and Resources to feel and look the same, I hope you’ll be pleasantly surprised with the variety. Our resources are carefully designed to provide AHA moments for students AND teachers. 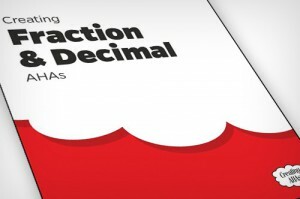 Creating Fraction and Decimal AHAs can be used as a replacement curriculum for teaching fractions and decimals in grades 3-5. Those who have used it are thrilled with how much they and their students enjoyed learning about fractions … and understood them! 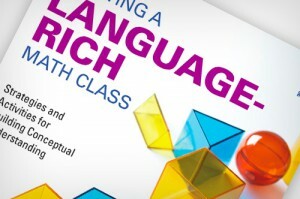 Creating a Language-Rich Math Class was written for personal professional growth and for book studies. The chapters give practical approaches and activity examples for developing conceptual understandings by making math memorable instead of memorizing. Included are investigations to try and questions for reflection. You’ll also find card sets, puzzles, and other resources used in Creating AHAs professional learning sessions. Use with your students and enjoy those AHA moments!